Violence broke out between protesters and riot police after a Kiev court jailed three nationalists for allegedly plotting a terrorist attack in 2011. 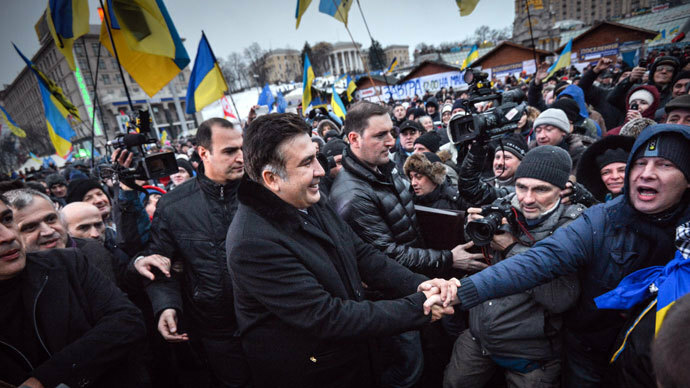 There are injured on both sides, including ex-minister and current opposition leader, Yury Lutsenko. Some 11 demonstrators and around 20 law enforcers were injured during the clashes outside the court building in the Ukraine capital in the early hours of Saturday morning. 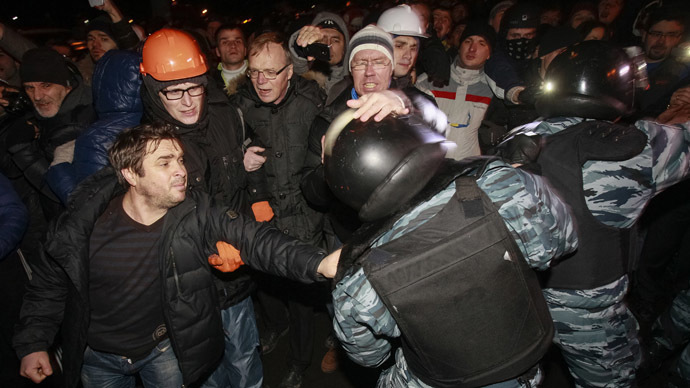 Two protesters and one policeman – who had his leg broken - have been hospitalized, according to officials. Lutsenko - a leading opposition figure, who was an interior minister in the pro-Western government of Yulia Tymoshenko - is under intensive care in hospital, his press-secretary told Interfax. The Prosecutor’s Office in Kiev is looking into last night’s incident to find out the details of what happened and whether Berkut anti-riot police used force against demonstrators as protesters claim. So far, no one has officially complained about police violence, they said. 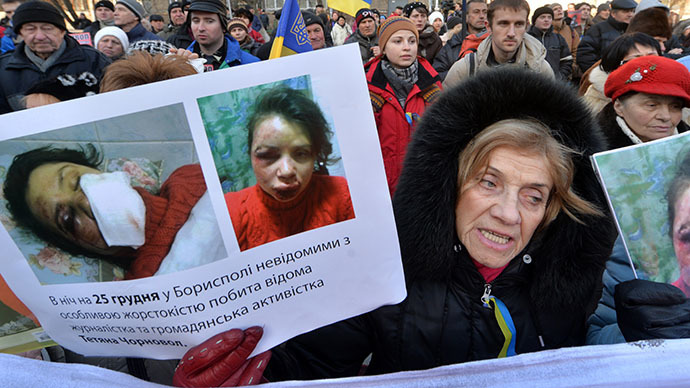 A criminal case has been launched over Lutsenko’s beating, the prosecutor’s office press secretary, Yana Sobolevskaya, said. Criminal proceedings have also been opened over the protesters’ actions during the rally. Activists may face charges for hooliganism, illegal interference in court affairs, and resisting the police. The clashes occurred outside a courthouse in Kiev, where a large and mixed group of demonstrators - including nationalist party Svoboda members - gathered for the verdict in a trial against three members of the nationalist organization, Patriot of Ukraine. The court sentenced the trio to six years behind bars for calls to overthrow the constitutional power, and allegedly plotting to blow up a monument to the Bolshevik Revolution leader, Vladimir Lenin, in Boryspil on Ukraine’s Independence Day on August 24, 2011. The men, nicknamed in the media “Vasilkov terrorists”, were arrested two days before the possible attack, after security services reported they had discovered a home-made explosive device and extremist leaflets in the office of Patriot of Ukraine in the town of Vasilkov. The organization members denied the accusations and accused law enforcers of planting the bomb and leaflets on them. Adding greater controversy to the story, the Lenin monument was dismantled before the alleged plot was uncovered. The court’s decision, delivered late on Friday, sparked anger among protesters, who attempted to block a vehicle carrying the convicts. The situation escalated further when they started pelting rocks and bottles at police. Berkut troops responded with batons, local media reported. Clashes then moved to a nearby district police headquarters, where demonstrators were joined by a new group of supporters, including pro-EU protesters who demanded that “police violence” against demonstrators be investigated. 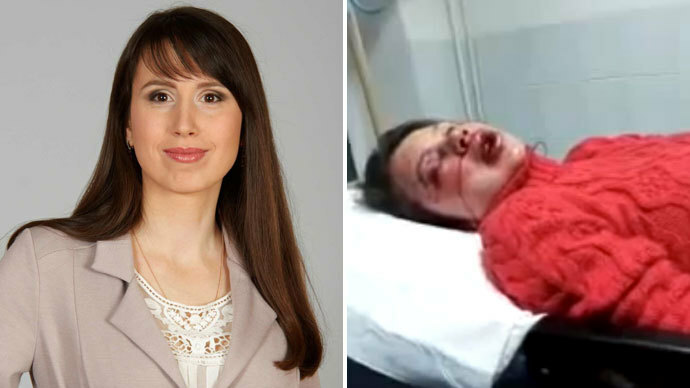 According to Lutsenko’s wife, Irina, the politician was hit on the head by Berkut anti-riot troops when he attempted “to stop the bloodshed”. Ukraine’s ruling Party of Regions has condemned the “assault” on the court and accused the far-right Svoboda party of the “provocation”. “It’s perplexing that those who support European values, and a European path for Ukraine, support terrorists. The Party of regions condemns any terrorist activities or plotting such activities,” the party said in a statement on Saturday, as cited by Interfax.